The Chinese government will invest 300 million yuan (44.9 million U.S. dollars) in the next 10 years in its greatest efforts of protection and utilization of ancient documents in the Potala Palace, a World Heritage site in Lhasa, southwest China's Tibet Autonomous Region. 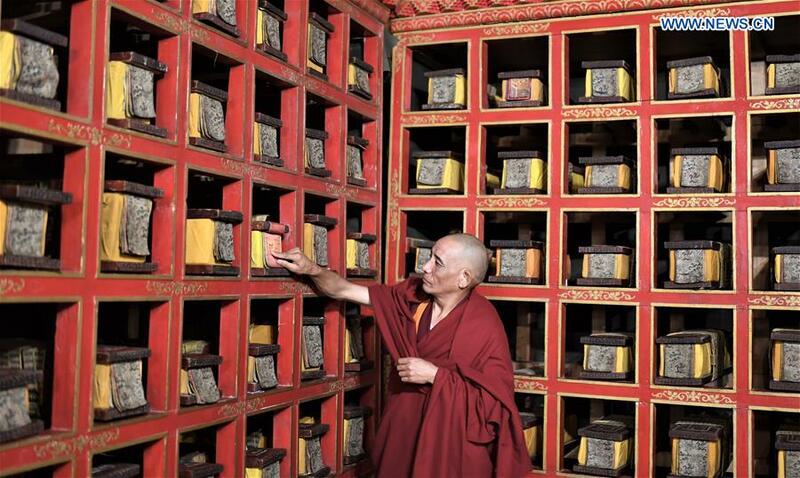 At present, a total of nearly 40,000 books of precious ancient documents in Chinese, Tibetan, Manchu, Mongolian and Sanskrit are preserved in the Potala Palace, said the management office of the Potala Palace Monday. "It is stunning to see so many rare ancient documents distinctive in content, versions and artistic value," said Pedron, an expert from the ancient documents protection center of Tibet. Local protection workers will take preventable protection and restoration measures and digitize and put on a show of the precious ancient documents. Local staff will roll out the digital registration for about 2,800 books of ancient documents in Chinese and Tibetan. The ancient documents are not only relics but precious historical files that demonstrate and help safeguard a unified China with territorial integrity, said Jorden, vice director of the management office. "To maintain the diversity of Chinese culture and make it pass on from generation to generation, it is essential for us to protect and make good use of these ancient documents," said Jorden. The Potala Palace was built by Tibetan King Songtsa Gambo in the seventh century and was expanded in the 17th century, covering an area of 41 hectares atop a craggy hill in the heart of Lhasa. As one of China's top tourist destinations, the palace was included on the UNESCO World Heritage List in 1994.